Rhodium Plated Tanzanite Cocktail Ring from India, "Dazzling Image"
An eye-catching piece, this cocktail ring is handcrafted by artisan Priyanka Gupta of India. 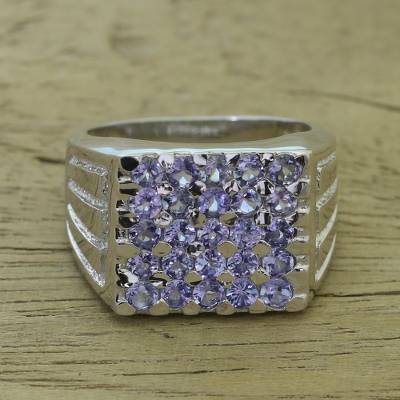 A rectangular crown made of rhodium-plated sterling silver holds rows of brilliant tanzanite stones. Amazing Nice Ring Beautiful December Rings December Birthstone December Birthstone December Birthstone Jewelry December Jewelry Gorgeous Ladies Ring!